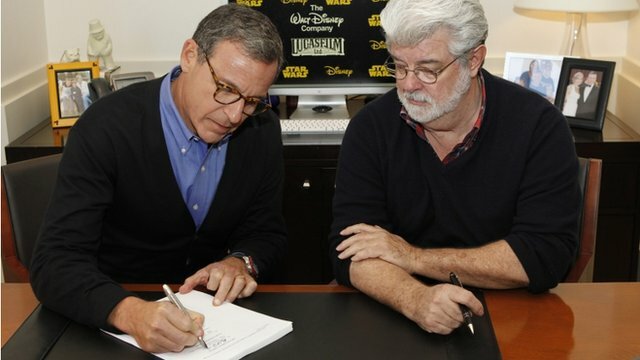 Jedi News 'really, really excited' Jump to media player Disney is buying Lucasfilm, the company behind the Star Wars films, from its chairman and founder George Lucas for $4.05bn (£2.5bn). James Burns from Jedi News said the "overall" reaction from fans has been positive. 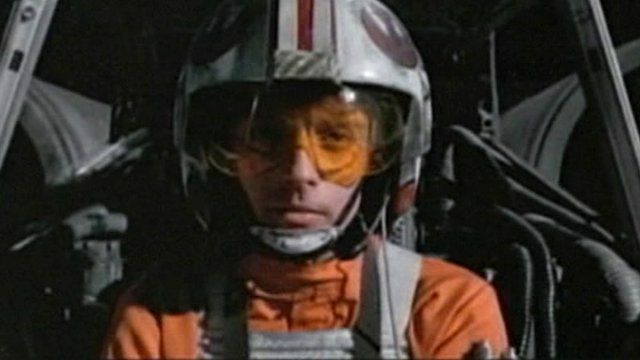 Disney buys makers of Star Wars Jump to media player Disney is buying Lucasfilm, the makers of Star Wars and says it will make a seventh film in the series. The deal was worth more than $4bn. 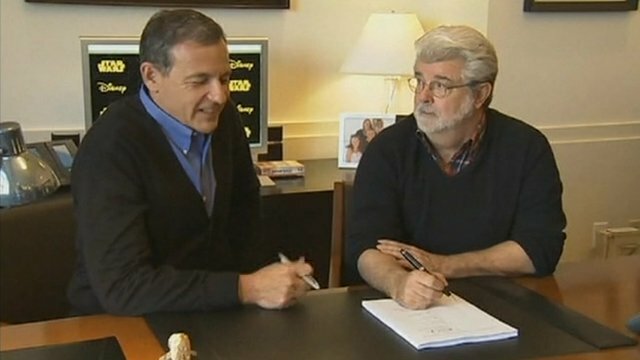 Lucas and Disney sign Star Wars deal Jump to media player Star Wars creator George Lucas has sold his company Lucasfilm to The Walt Disney Company in a deal worth $4.05bn (�2.5bn). What will fans think of new Star Wars films? In a statement announcing the purchase, Disney said it planned to release a new Star Wars film, Episode VII, in 2015. James Burns from Jedi News said the "overall" reaction from fans has been positive.